Why people move to Malta? Today Malta is a well-connected investment location boasting an advanced communications setup and a business environment which gives every incentive for companies to invest, grow, innovate and compete in a global marketplace. Boasting a highly productive English speaking workforce, a European time zone, a Mediterranean lifestyle, a competitive incentives package, as well as frequent air and sea connections, Malta is a sure choice for foreign direct investment and international trade. In addition, Malta’s status as an EU Member State, together with the adoption of the Euro on 1st January 2008, further enhances the country’s attractiveness as a center for international business in the Euro-Mediterranean region. If you are considering Malta as the ideal destination to invest in, you are not alone in your decision. With millennia of history, the country has always played a pivotal role internationally due to its location right at the heart of the Mediterranean. The more recent past, since independence in 1964, has seen the country develop its economy in an impressive way. Leveraging its well-educated labour force, good governance standards and strategic geographic position, the country has been very successful in recent years in diversifying its production and export structure towards higher value-added sectors and creating a strong knowledge based economy. Malta is very strategically located at the heart of the Mediterranean with very close ties to mainland Europe, North Africa and the Middle East. The island is considered the best choice for investments in knowledge based sectors and high end manufacturing. Malta is also considered an ideal logistical hub due to its excellent port infrastructure. This, together with EU membership, makes the country a perfect gateway to the Euro-Mediterranean region and further. The success of a business is not achieved by financing or technology but is ultimately determined by people power. The labor force in Malta is a very productive one, highly educated and extremely flexible with an excellent work ethic. Our people are our greatest natural resource and the country has good availability of professional, managerial and technical staff as well as a ready supply of top graduates most of whom are technology-experienced. The link between education and industry is vital for our competitiveness. Education and HR-related strengths top the criteria for choosing Malta as an investment destination. 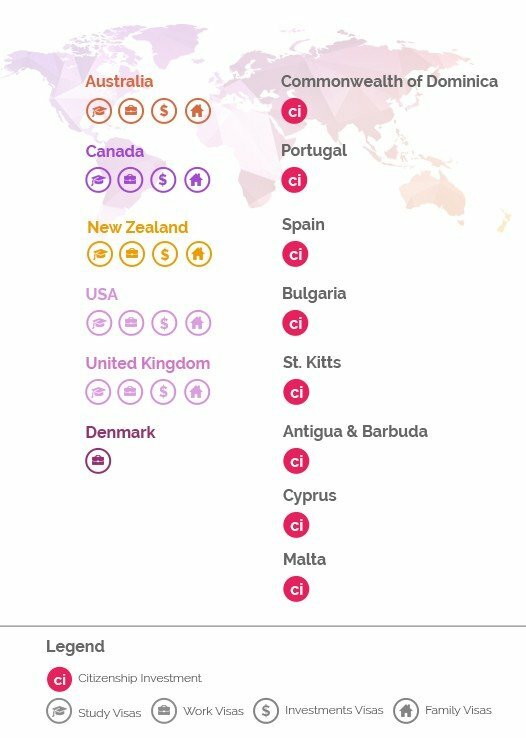 Malta is now an internationally recognized financial services hub. However, due to the sector’s traditional and conservative approach it never experienced a real financial crisis. Indeed, the strength of the financial services sector was a critical contributing factor to the speedy emergence of Malta’s economy from the recession. In fact, the reputation of the Maltese financial services sector improved considerably due to the resilience and stability it showed during the financial crisis. This did not go unobserved in the global scenario and the impeccable reputation of the local financial services is expected to fuel further growth in this sector. There are many reasons why investing in Malta makes good business sense but it is not enough for the figures to add up and the stars to be aligned. In this day and age – where time, health, safety and true quality of life are precious commodities – Malta scores highly on all these aspects. Travelling distances are minimal, the healthcare facilities, which rank among the best in Europe, are first-class in both public and private hospitals and the crime rate is very low. However, the biggest selling point of the island nation is undoubtedly the lifestyle that investors and their families enjoy in the country. Indeed, those thinking of investing in Malta are highly recommended to visit the nation to explore and experience for themselves the wealth of history, culture, hospitality, bars and restaurants. That way they can also get a real taste of the flavorsome Maltese and Mediterranean cuisine that the country offers. Malta Citizenship by Investment may be granted under an amendment passed in November 2013 to the Maltese Citizenship Act, Chapter 188 of the Laws of Malta. These amendments provided the framework for the enactment of LN 47 of 2014. The “Malta Individual Investor Programme (MIIP) rules provide for affluent persons of impeccable standing and repute to be naturalized and to receive Maltese citizenship on the basis of a contribution to and investment in Malta. Citizenship approved after just 4 months processing time. A total of 12 months to passport issue (inclusive of processing time) from date of initial residency. Visa free travel to over 166 countries, including EU, USA, Canada. To qualify under the regulations, a Main Applicant for Malta Citizenship by Investment must be at least 18 years of age and must meet the requirements outlined in this factsheet. 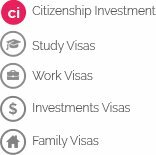 To qualify for Malta Citizenship by Investment, the main applicant is required to contribute at least €650,000 to Malta. Of this contribution, 70 per cent will go into the Fund set up by the Government of Malta and run by a board of trustees. The rest goes to the consolidated fund. Spouses and children are required to contribute €25,000; unmarried children between 18 and 25 and dependent parents must contribute €50,000 each. This contribution and the investments below need only be made AFTER approval of the applicants’ citizenship petition. The “residence requirement” requires evidence of a genuine link with Malta. Approved Agents obtain advance written approval from Identity Malta of their clients’ proposed links. Citizenship is granted after 12 months from effective date of commencement of the genuine link with Malta. Candidates must commit to some presence (but not 365 days) in Malta before citizenship is granted. Persons already resident one year prior to IIP approval already satisfy this requirement.